Pedestrians warned about ‘exploding manhole covers’ after record rains. London Fire Brigade has warned that at least one manhole cover a week is exploding without any warning, leading to fears for the safety of unsuspecting pedestrians. Experts believe that last winter’s record flooding, together with defective underground cables are to blame. The number of manhole covers exploding has dramatically increased according to new figures released by the Health and Safety Executive. Experts believe the fireballs are caused by power surges in underground electric junction boxes which could have been damaged by last winter’s record rainfall. So far this year, the HSE has received 64 reports of exploding or burning manhole covers – compared with 51 for the whole of 2013. There were just nine in 2011. 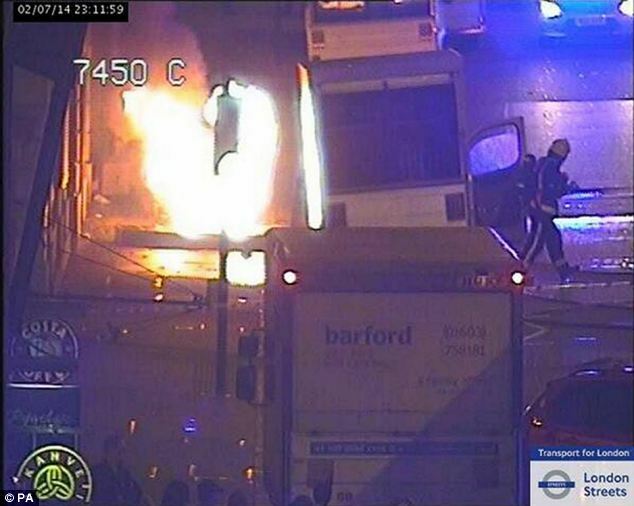 Recently a manhole cover blew up in Piccadilly destroying a van parked on the side of the street as theatre goers were heading home. See more on story here. Structural Science Composites has tested and approved the use of vented composite covers with holes moulded into the structure reduces the risk to a minimum and have already installed covers and frames with power companies in London and New York. For further information please contact us today. This entry was posted on Monday, August 10th, 2015 at 10:30 am	and is filed under Lightweight composite covers. You can follow any responses to this entry through the RSS 2.0 feed. Both comments and pings are currently closed.